Create a day that is beautiful, timeless and like no other. At The One Moment Events, we believe that honeymoon feeling should start as soon as you are engaged. Planning a wedding should be fun and guided by experts who know not only how to throw a party but how to create a luxury experience that is breathtaking from top to bottom. From helping you select your dream venue to matching you with creative partners to make your vision come true. We are here to help you create a stunning day without lifting a finger. With limitless design and planning meetings where The One Moment Events team gets to know you and guides you in every aspect including timeline, budget, seating plan, RSVP tracking, paper goods, design and more. Allowing you to enjoy this momentous occasion and the months leading up to it knowing that you have an award-winning team there to do the heavy lifting and taking your ideas from concept to reality. Let's help you make that one moment no one will never forget. For the client who has already selected their vendors, completed their budget and general timeline and has designed their event but needs assistance with all day of and rehearsal aspects including coordination of vendors, wedding party and attendees, and setup and teardown of decor. Also includes an assistant on the wedding day. Planning assistance begins 4-6 weeks out and helps shore up final details, assist in finalizing the timeline, working through packing list items and layouts and includes 1 walk-through of venue and 1 planning meeting. Access to our online planning software for self guided planning and periodic check-ins throughout the process to make sure you stay on track! When you know what you like and dislike but you don't know how to bring it all together, our design service is for you. When you've invested in Event Management but you need a team to help put your overall vision together, The One Moment Events steps in to finalize the remaining creative partners that are compatible with you and can expertly execute your overall design. We will help you from start to finish to curate a beautiful experience from the smallest of details to the largest of projects to create a magical experience from start to finish. If you are dreaming of a big day abroad with your closest family and friends or everyone you've ever met let The One Moment Events create it for you. 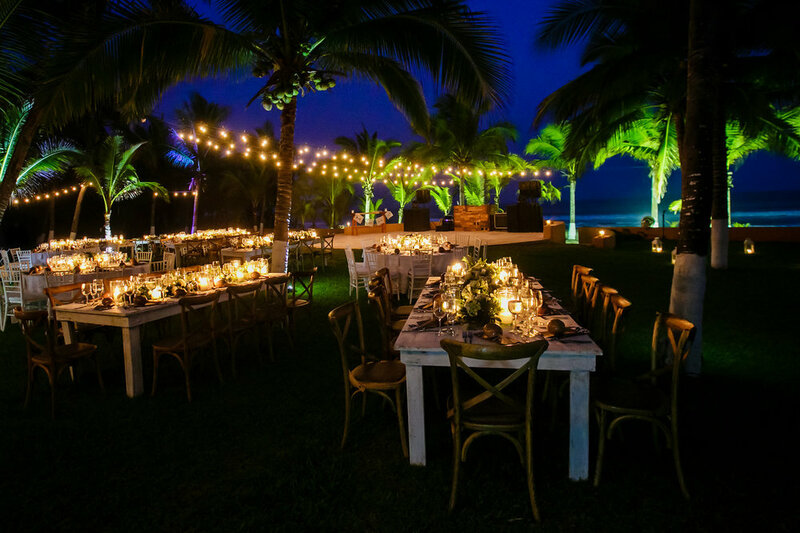 From a sandy beach in Mexico to a castle in Spain, we can help you put together a dream day that allows you to relax throughout the process knowing you have a team working tirelessly to make sure every last detail is perfect and you don't have to worry about the logistics, red tape or research that goes into the planning of a destination wedding. We will be there from the moment your say "yes" through your "I dos" and throughout the day making sure your wedding is as perfect and put together as you envisioned. If you're ready to fly with us, give us a call and we'll map it out. For the client who has all the day of assistance they need but requires professional guidance along the way to make sure they are making the best decisions on vendors, timelines and layouts. This service allows us to consult along the way with a series of scheduled in-person meetings or phone calls and emails. We will assist in creating a master timeline that is then broken out into specific timelines for each individual vendor and bridal party, Layouts for Plan A as well as a backup rain plan, packing & production lists to help itemize all of the details of the day, access to our preferred vendor list and curating room blocks for your out of town guests. This service is $1500 and additional hours and contact can be added. Are you a new or inspiring event planner? Are you thinking of getting involved in planning events but you don’t know if it’s right for you or where to start? Have you just started your business and are struggling to know where to go or how to market yourself, find clients and be the absolute best investment for your clients? The One Moment Events offers a variety of mentorship programs ranging from 1 hour phone or Skype calls to answer burning questions you have about the event industry or your own business struggles to in-person meetings to review your business plan, strategies and marketing and shadow on event day to watch problem solving, design and production and wedded bliss happen in real time. Contact us for rates and details.